All of our features for one simple price (includes 3 users). Add additional users for just $99 per month. If you have more than 10 active users, talk to an onboarding specialist so that we can get you started. 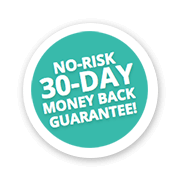 All of our plans work on a month-to-month basis with no long-term contracts or obligations. This allows subscribers to easily add more users as their business grows. A user is a unique account that has access to your SKULabs stores and items. Every team member that needs access to SKULabs for inventory management or order fulfillment should have their own user account. How many devices can each user have? A user can log into as many devices as they need, but not at the same time. When a user logs in to one device, they are automatically logged out of any other devices that they were using. We accept payment by Visa, Mastercard, American Express, or Discover. Enterprise customers can contact us for an invoice plan that suits their needs. Can I add users at any time? Yes, you can add users at any time and they can log in as soon as they are activated. If you are adding users past the first three accounts, we will simply add the daily activity of the new users to the following month's invoice. What if I no longer need a user? No problem! You can deactivate users at any time with the user management tool. Since users are paid for in advance each month, you'll be credited on your next invoice for any days of the month that a user is deactivated.